The company geobra Brandstätter, based in the Franconian town of Zirndorf, near Nuremberg, and known for its PLAYMOBIL toys, is a real playground for us when it comes to creativity and quality. It sells over 30 game worlds in around 100 countries. psbrands provides the required packaging design and eye-catching product displays, to capture the imagination right at the POS. And we’ve been doing this for several years now. Our goal: inspiring toys and themed worlds that create new purchase impulses. Brand experience at first sight. Whether graphic design, photography or high-end image retouching – just like the Playmobil toy figures, every detail of the packaging design needs to be just right. 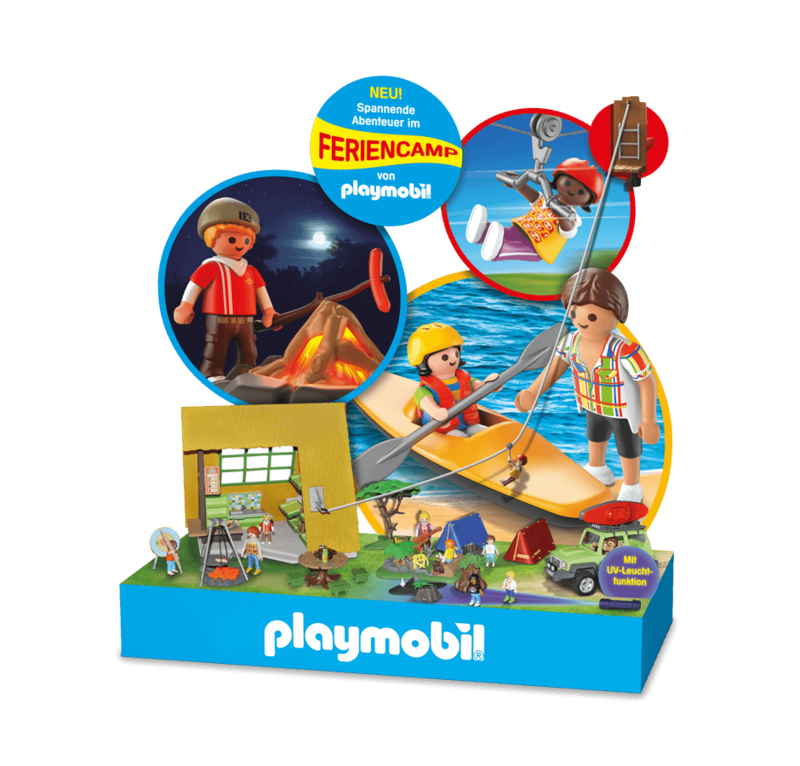 We work to present the Playmobil world promotionally and consistently. We also create the complete packaging and the appropriate country-specific print specifications for international sales. Packaging adaptations in countless languages, with no room for error. psbrands also provides displays and product presentations for the various Playmobil themed worlds. This also requires consistent quality and efficiency, from the initial layout to the print data preparation.